Monday as 30,000 people demonstrated their true spirit and depth of soul to run in the worst weather conditions in Boston Marathon history, I witnessed the miracle of humans living up to their dream of accomplishing what only 1% of the people in the world experience….completing a marathon. Through the brilliance of technology, both on television and live streaming through the Internet, I witnessed Desi Linden, the first American woman to win the Boston Marathon in 33 years, cross the finish line. 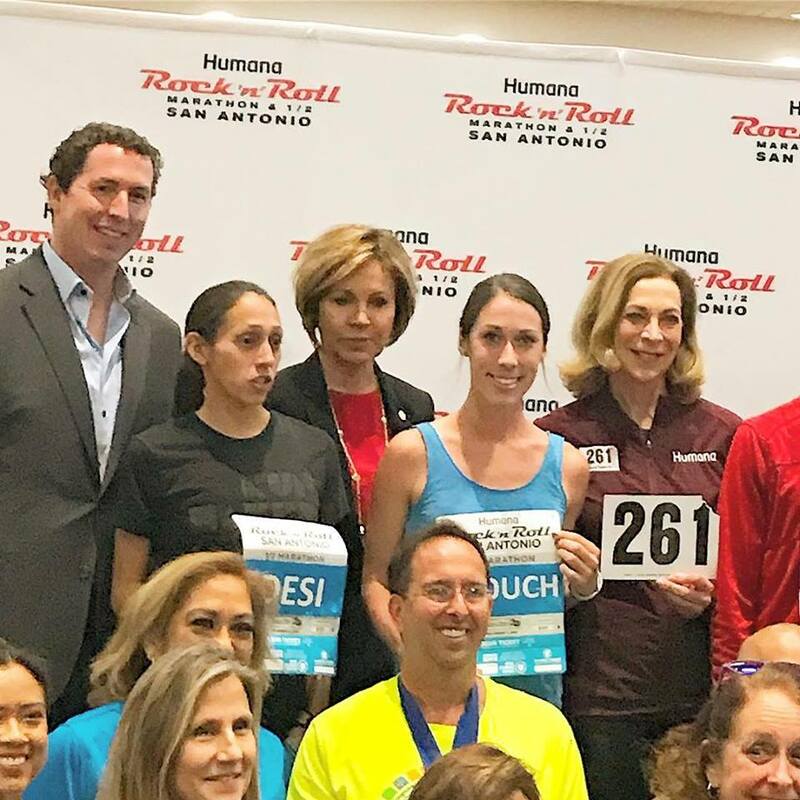 I recognized Desi immediately having met her at a VIP event in San Antonio in December at the Rock and Roll Marathon events I attended for 261 Fearless. I only said, “Hello” as I shook her hand but I remember her eyes and smile and was grateful technology allowed me to witness her crossing the finish line. What I learned most by watching Desi yesterday was the statement she gave to the reporter. She told him she almost gave up running the marathon around the 2-3 mile marker because she didn’t feel great. What? Almost gave up? I only thought average runners like me had tough running days when giving up seemed like a good idea. I didn’t know marathon runners wanted to give up on historic race days. Did you? We can live so much inside our own heads that we forget that there are women just like us partaking in activities that challenge them the same way we are challenged. 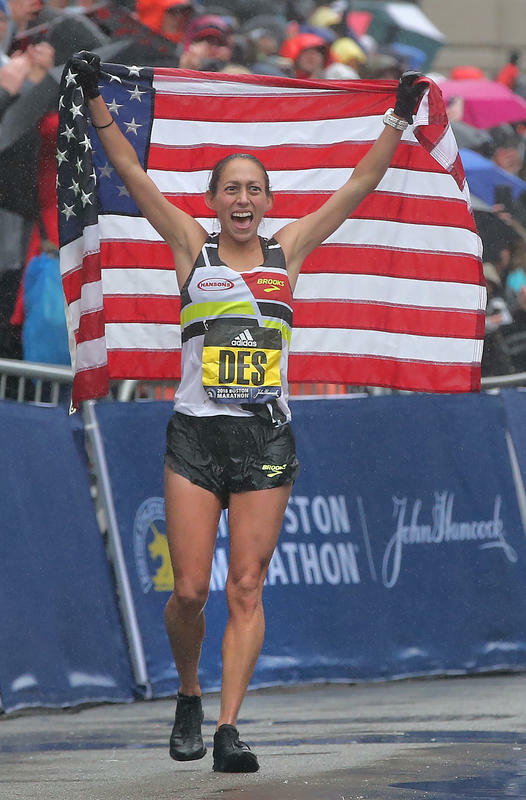 I can tell you the next time I think of giving up on a race or practice day before the three mile mark, I’m going to remember the Boston Marathon golden crown adorning Desi’s head and tell myself it is only a fleeting thought. Not only runners, but women in business can feel this way too. There are days when we arise ready to conquer the world with our work and by 10 a.m. we want to go back to bed. We wake up with passionate enthusiasm to tackle duties with diligence and then one negative email or disruptive phone call sinks our spirits and we’re ready to jump under the covers for the entire day. 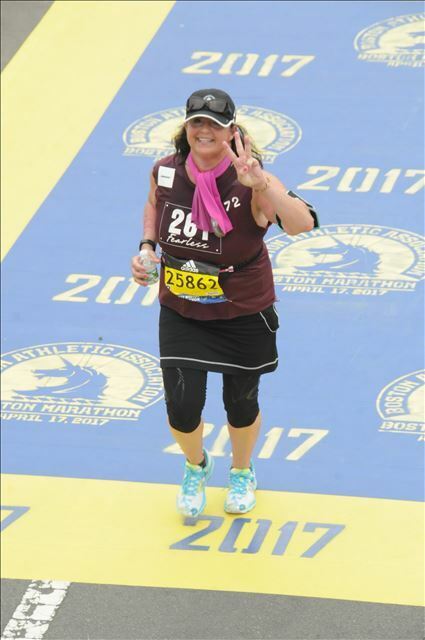 What if you knew what was waiting for you at the end of the business day just like Desi had waiting for her at the end of the Boston Marathon? Would you quit or would you continue pushing yourself and work harder? I guess what I’m asking you is how dedicated are you to your end game or your end goal every day you work? If there was one thing I learned as I worked on my business during my training for the Boston Marathon last year was the perspective needed to expand my thinking, work load and abilities to incorporate regular business duties along with long training runs. I had to build time into my schedule to do both. When you commit to a really big personal or business goal, you need to have an effective time management plan to accomplish it. In the world of social media, it is easy to waste time on mediocre activities when we could spend direct time pursing a bigger objective. I’m learning this as I write about a 1000 words a day towards a book or speech during my medical sabbatical. Marathoners know you must put in the “miles” (or the “hours”) to win the big one. 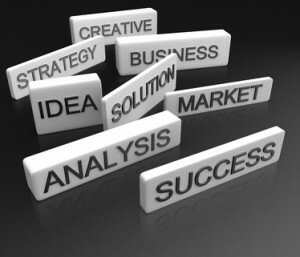 Do entrepreneurs know the same thing? Today’s Wednesday Wisdom is to inspire you to set or remember a big audacious goal established for 2018 and then build the time and framework around your aspiration. It has only been only four months since you set resolutions on New Year’s Day. What are you doing daily to accomplish one of those resolutions? Do you need more structure to the process? Do you need inspiration from others to get moving? What is limiting your thoughts or actions? Are you ready to start again and frame the work needed to achieve the goal into your regular duties? I can tell you I have never been more proud of myself than finishing the biggest challenges I set up for myself whether it is in business, sports or life. I wish the same feeling for you too so keep your head in the race, set and finish your goals and be proud of the challenges you accomplish.